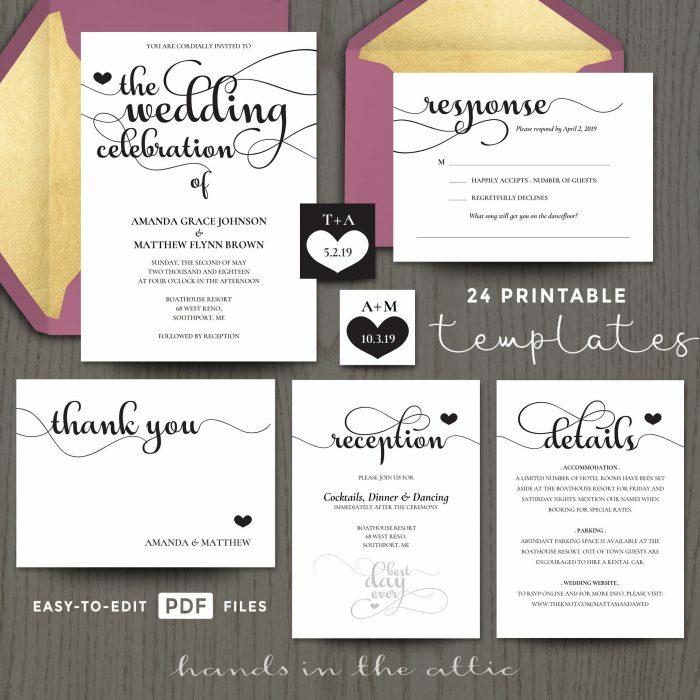 Create attractive wedding stationery with these ready-to-use templates. Make invitation, RSVP, details, reception and thank you cards in a snap! 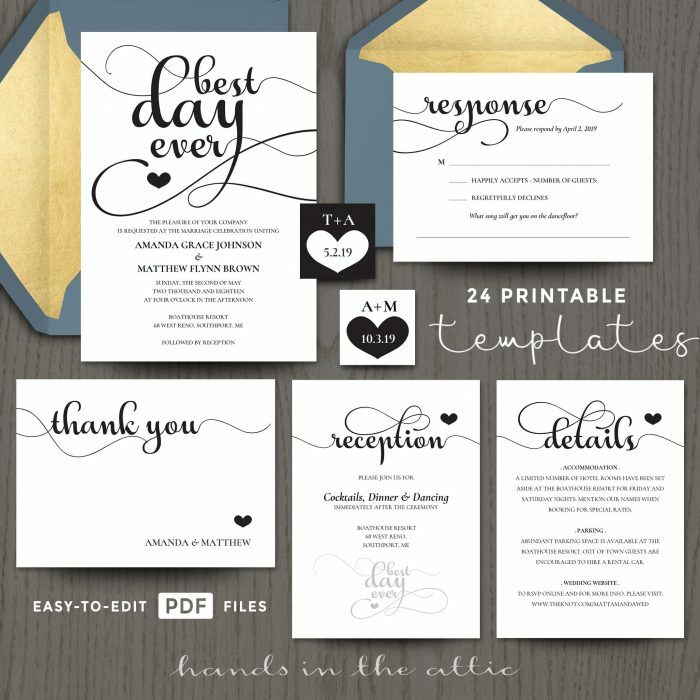 For each card, there are variations included to accommodate different styles of wording. 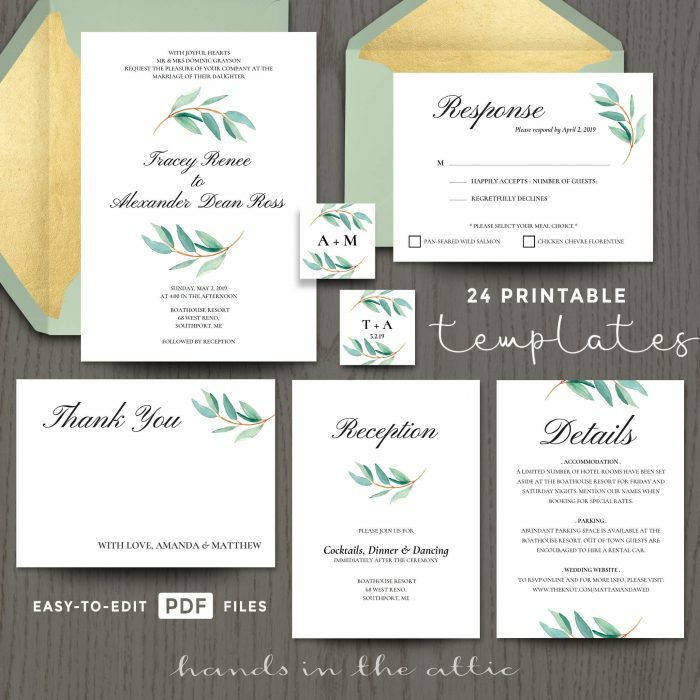 Once edited, the templates can be printed on white, kraft, or pastel card stock paper.